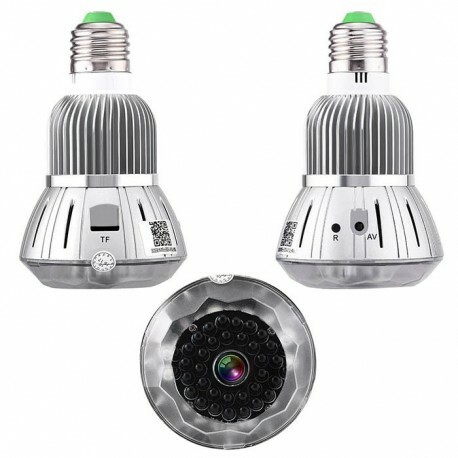 Hidden Camera Light Bulb features a color camera with 'no glow' night vision and a built-in motion-activated DVR (records video to a micro SD card) making it ideal for residential, commercial, and industrial vandalism camera applications, hidden camera applications, and spy camera applications.u. 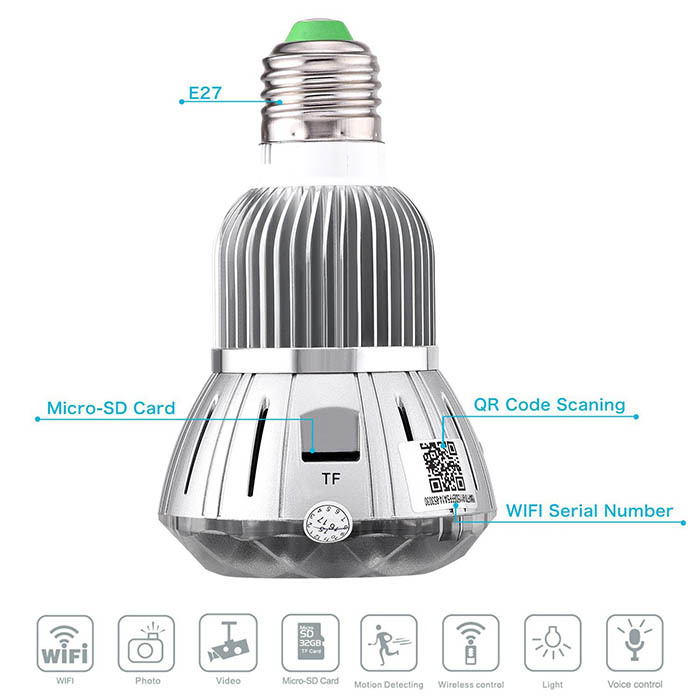 WiFi spy bulb with an integrated undetectable camera to the naked eye. 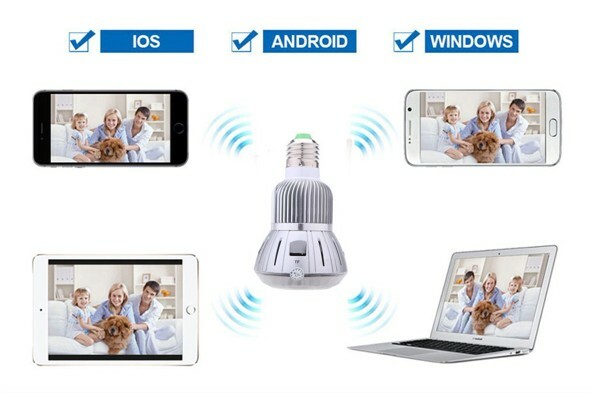 Fonctionne très bien, sa qualité d'image fait de cette ampoule espion une excellente caméra.